This is a bit far afield from Austin, but we figured it merited a post due to its relative proximity combined with its Texas Monthly cover. 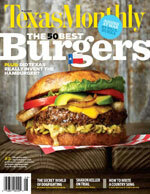 It earned the #3 spot in their Best Burgers issue. Stopped in on the way home from a trip to Enchanted Rock. The service rode that fine line between “charming” and “annoying”. We asked for water glasses shortly after sitting down (every other table seemed to have tall glasses of ice water) and were told by the waitress that she would have to wash some glasses if we wanted that. How about some bottled water from the cooler instead? My dad ordered a milkshake. Oops, “out of ice cream”. Then later, our waitress was actually on a personal phone call as she delivered our dessert. She was speaking to the person on the other end as she handed us the plate. 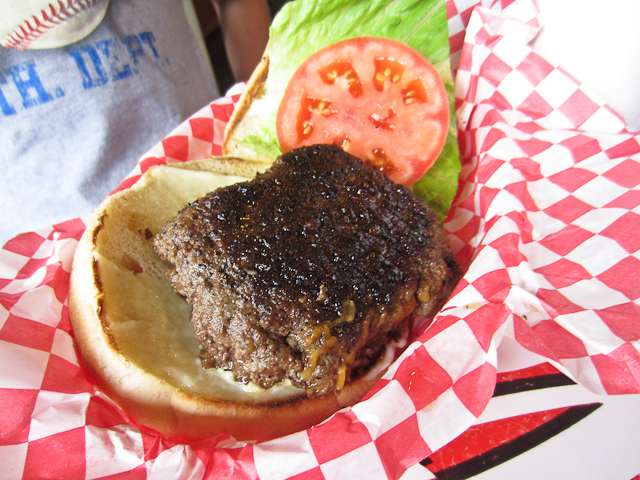 Service aside, the burger was very good, but not even close to living up to the cover image. 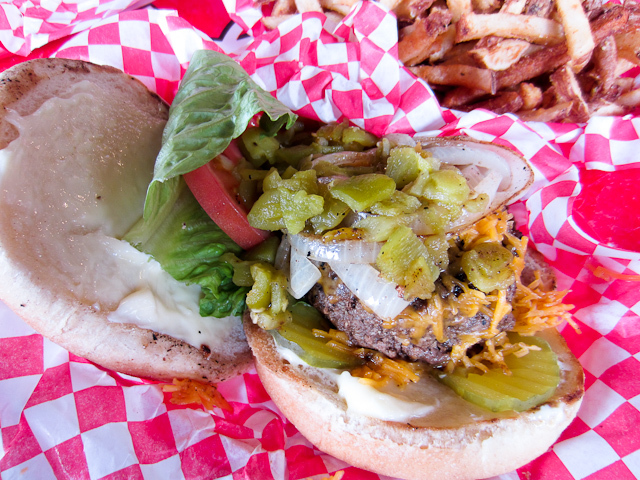 It was very sloppy, and the bun did not stand up to the onslaught of juices. But everyone enjoyed them. Tasty, juicy, some crust from the griddle. 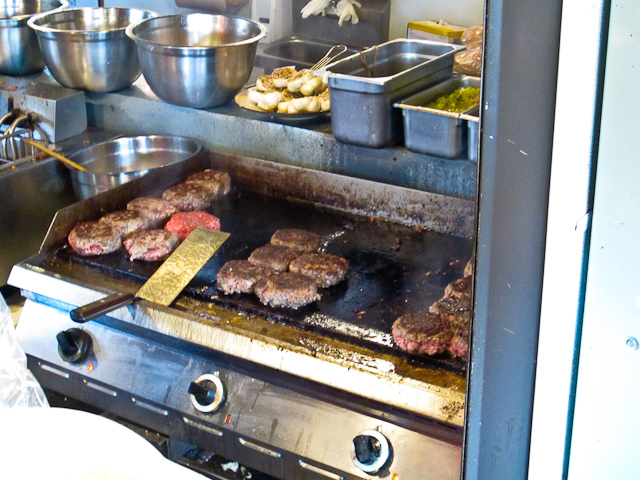 Burgers are cooked using the “smash” method (a ball o’ meat is plopped on the griddle and is smashed right there into a patty), on a fairly tiny griddle. Fries were ok, nothing outstanding. 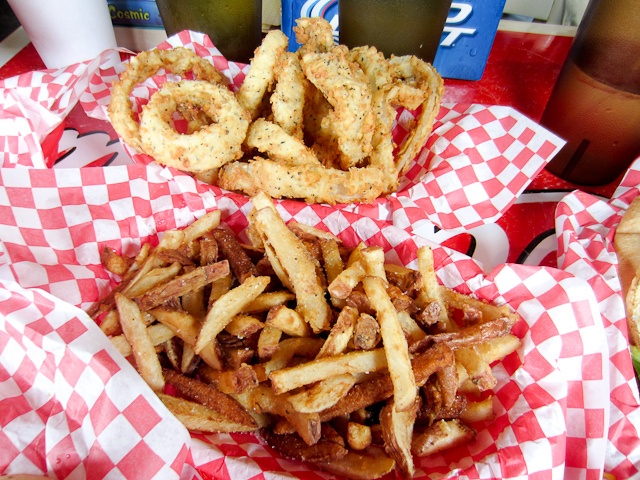 Onion rings had good flavor, but were way too light on the breading. Worth a stop if you are near Fredericksburg.